Fire up an inferno of double action! The impact sends the 2 disks flying into the air! Fire up an inferno of double action blasting with the DoubleClutch Inferno set! 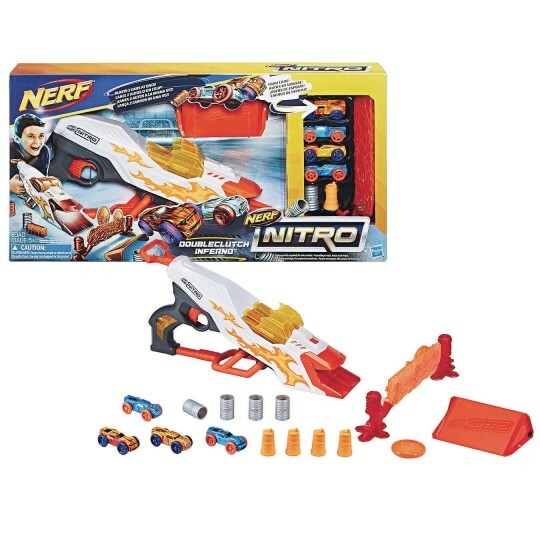 This Nerf Nitro set features a 2-barrel blaster so kids can launch 2 cars at once. 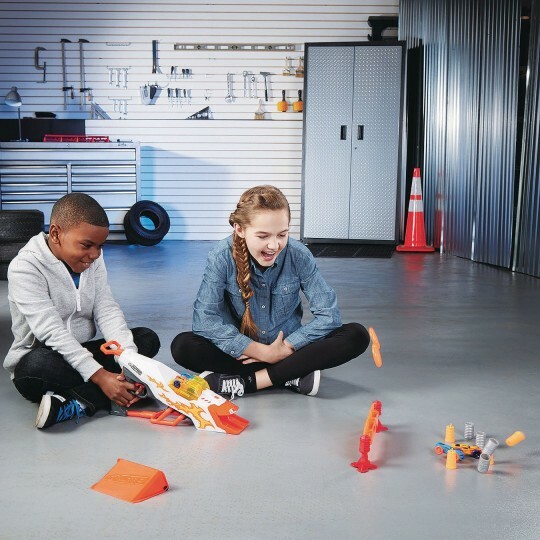 Set up the double reactive target and blast the foam body cars into the barrier -- the impact sends the 2 disks flying into the air. Create challenging stunts with the 8 obstacles and a double ramp. Smash cars through the obstacles, and send cars up the ramp to leap over the obstacles. 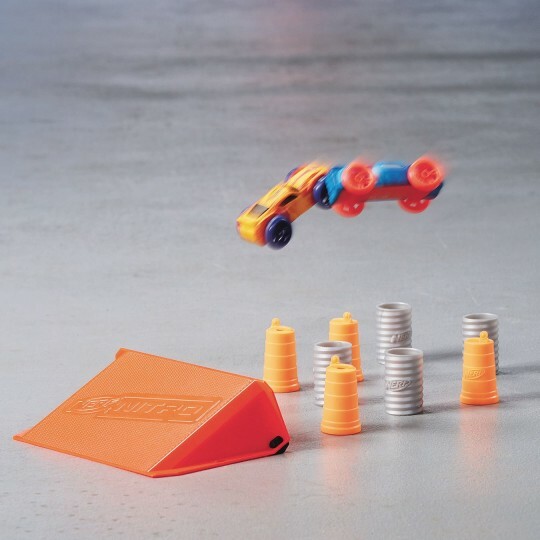 Kids can use their imaginations to set up the pieces in different ways to blast into lots of stunts. There’s storage for 2 cars on top of the blaster. 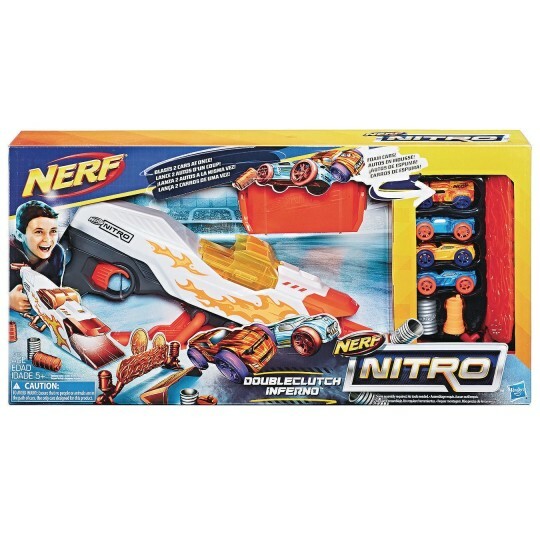 Includes blaster, 4 foam body cars with plastic wheels, double ramp, 8 obstacles, target, and instructions.